Papa Johns iPhone app review. 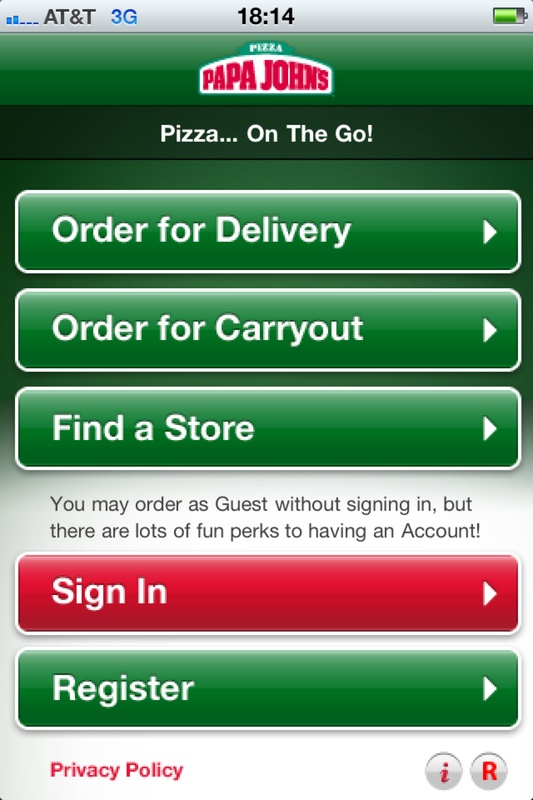 I just ordered a pizza using Papa Johns iPhone application. Only a couple of things were confusing/buggy during the order process. When entering my address, the control used to select “apartment” wasn’t intuitive–it appeared that you should simply type a number or letter into a blank field. The only other hiccup occurred when creating my contact entry. I placed the same email address in two email fields (email address & email address validation). However the application didn’t like that the first character of only one of the addresses was capitalized (it shouldn’t matter because email addresses are not case sensitive). So make sure the case of your validation fields match using this app. Silly bug to be sure, but it’s there. Other than these minor issues, it was easy to pick food selections and had nimble response times. It appears Dominos has some catching up to do in the arena of mobile apps.